"This $100 million package means Australia continues to be well prepared to respond to a health emergency at home or abroad." The Abbott Government's 2015/16 Budget will invest $100 million to improve Australia's ability to quickly and effectively respond to a health crisis caused by a natural disaster or terrorist attack at home or abroad. Minister for Health Sussan Ley said the funding boost ensured Australia remained an international leader in providing emergency health protection and included $34 million to replenish the National Medical Stockpile and $64 million to support the Darwin-based National Critical Care and Trauma Response Centre. "The National Critical Care and Trauma Response Centre and the National Medical Stockpile are the backbone of our national health emergency management capability in the event of a bio-terrorist attack or devastating natural disaster," Ley said. Ley said a $34 million injection to the National Medical Stockpile would support the restocking of essential drugs, vaccines, antidotes and protective equipment to ensure Australians were protected in case of a disease pandemic or chemical, biological or radiological incident. "In a time of national emergency such as an influenza pandemic or a bio-terrorist attack the National Medical Stockpile is a key element in defending Australians," Ley said. "In recent times we have seen disease threats like the bird flu pandemic and Middle East Respiratory Syndrome (MERS) outbreak, while last year was one of the worst flu seasons on record. "These recent outbreaks reinforce the importance of maintaining our strategic reserve of drugs, vaccines and antidotes." The $64 million funding extension in the National Critical Care and Trauma Response Centre would improve Australia's capability to respond to natural disasters like recent cyclones in northern Australia and Vanuatu. Ley said over the past three years the National Critical Care and Trauma Response Centre had trained over 3,000 medical, nursing and logistics personnel to respond in times of emergency and crisis, while also maintaining a sophisticated reserve of medical equipment and supplies. 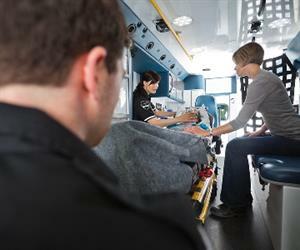 "The National Critical Care and Trauma Response Centre plays a key role during a national or international emergency to support the rapid and effective deployment of medical assistance teams," Ley said. "Our specialist Australian Medical Assistance Teams have a proud history of responding in times of international need and the recent support provided to Vanuatu confirms the important work of this centre." 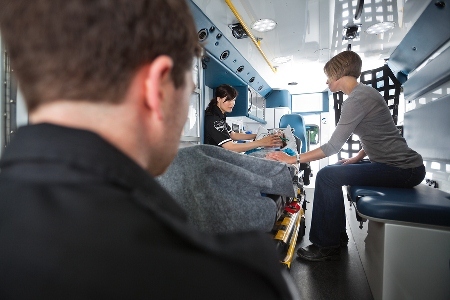 Over the past three years the National Critical Care and Trauma Response Centre has been instrumental in deployments to seven major emergencies and the treatment of almost 6,000 patients.